Engineering concrete batching plant is a typical mechatronic product. Concrete batching plant is used to mix materials, like aggregate, cement, fly ash, water. These materials are measured according to the formulation of concrete. And then use concrete mixer to produce qualified concrete. It has an important significance to systemically study the production management and control system of concrete batching plant. 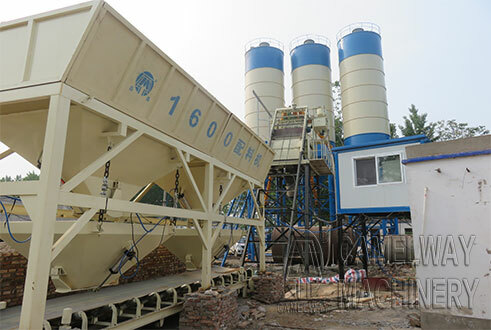 By systemically studying the production management and control system of concrete batching plant, it also has important significance to study and design similar batching control system and batching control system of stabilized soil mixing plant. Recipe data and customer data are stored in the historical data base of the automatic control system of engineering concrete batching plant. 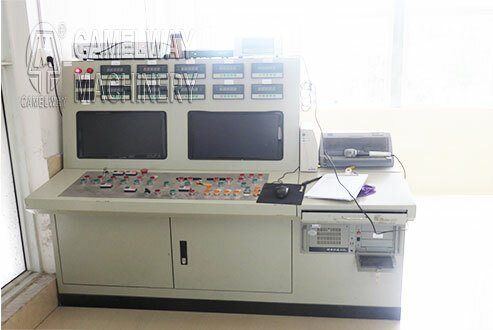 The automatic control system of engineering concrete batching plant adopts computer to control the production of concrete batching plant. It has dynamic panel which shows a clear understanding of the various parts of the operation. Intuitive control interface can be clearly and accurately observe of on-site workflow. Management reports can be printed. Control procedures adopts multi-task control mode. When batching materials, users can choose the next task. All parameters of ingredients can be modified online. Users can also prevent aggregate being conveyed by inclined belt and the storage hopper feeding materials into the concrete mixer. The automatic control system can also control the discharging door of concrete mixer. When an error or some other event suspended the normal running of the concrete batching plant, the system will remind users of the problem and deal with the problem with the exception handling mechanism. At present, the company has many different mixing machine and construction equipment for sale at low price. If you want to reduce the cost to import the concrete ready mixer from China, please feel free to contact us at any time.